Caroline is the founder of Jittabugs Theatre School and trained at The Merseyside Dance & Drama Centre prior to working as a dancer/performer for many years. 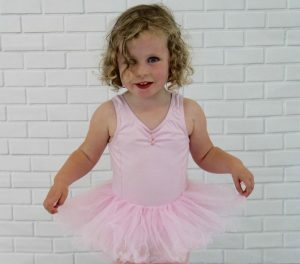 Jittabugs Theatre School in Taunton now offers ballet, dance, and musical theatre classes in Taunton and surrounding areas. This class is a great mix of singing, dance and acting for ages 4 yrs upwards. 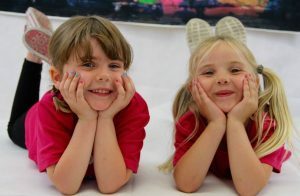 Jittabugs mixed performing arts classes will give children a wonderful basis of the performing arts and, as a result, they will have a lot of fun working with Caroline on many different styles of dance, singing songs and working on some script work too. Consequently, this is a great all round class for little performers! Caroline is the C.E.O and founder of Jittabugs and Jittabugs Theatre School. Running head office keeps her very busy but she still runs ballet, dance, and musical theatre classes in Taunton including Preschool Ballet & Boogie classes and Jittabugs Theatre School classes for age 4 years up in the Taunton area. She is also proud to announce she is also a member of The Makaton Friendly Scheme. Caroline is available for private bookings and tutors all of our Jittabugs programs. Qualified in Baby Masssage with The International Association of Infant massage, Yoga with Yoga 4 she has attended a Makaton Foundation Workshop and she is also of course First Aid Trained, DBS/CRB cleared and fully insured. Having trained at The Merseyside Dance & Drama Centre and worked as a dancer/performer for many years, Caroline has therefore achieved a vast range of knowledge and experience enabling her to put together all the wonderful programs Jittabugs Theatre school has to offer. She looks forward to seeing you in her classes.